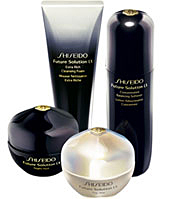 Shiseido offers High-Performance Care products, super-concentrated treatments that penetrate deeper than Basic Care formulas, delivering maximum results with minimum time and effort. Many of these products are favorites of celebrities, the fashion press, and generations of women around the world. Centuries of Japanese wisdom brings you the future of beautiful skin. From the very first application of Future Solution LX, discover a perceivable difference. Each formulation's superior texture and gentle fragrance promises uncompromised luxury, providing the ultimate solution for the future of your skin. The ultimate brightening solution for even-toned skin with perfect radiance. The newly re-formulated White Lucent skincare collection illuminates skin's natural beauty for a pure radiance that glows from within. With an innovative spot-targeting technology, dark spots and uneven skin tone are visibly diminished in as short as two weeks. 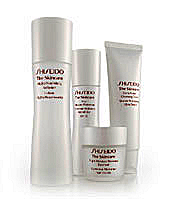 Luxurious, effective anti-aging. Take years off your skin. 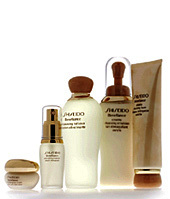 Highly indulgent yet utterly essential, Shiseido's breakthrough technology and luxuriously textured treatment collection rewards maturing, dry skin by reinforcing skin's structure to resist the signs of aging. 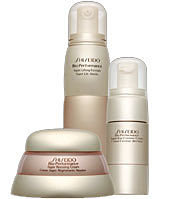 Benefiance helps prevent and improve wrinkles, sagging and roughness revealing a softer, firmer and smoother complexion. Think Ahead. Act Now. Defy aging before it begins. Skin at its peak is vulnerable to stress, aging, and the intensity of modern life. 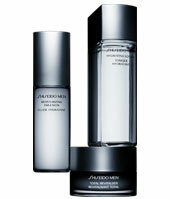 Combat today's damage as well as early signs of aging before life catches up to your skin with The Skincare. The result: a vibrant, beautiful complexion and peace of mind -- now and in the future. Multi-Defense Sun Protection System defends against the powerful UVA/UVB rays that cause sun burn, dryness, fine lines and other signs of premature aging. 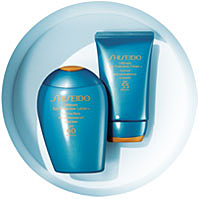 More than just protection, Shiseido Suncare products also work to proactively provide nourishment and anti-aging benefits for your skin. The new shape of body care. 3 million bodies look better because of it. Body Creator Aromatic Gel on their bodies. 80% reported the look of cellulite was reduced. 87% felt their skin appeared firmer. 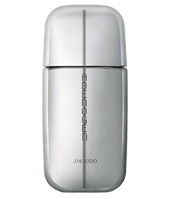 *Tested by 100 women aged 30-55 who used Body Creator Aromatic Gell for 3 weeks. 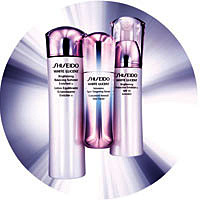 Simple and uncomplicated, Shiseido introduces a practical yet scientific skincare program formulated with Damage Defense Complex, an ingredient complex designed to retexturize and quickly restore skin's vitality, helping defend against signs of aging such as dryness and fine lines. 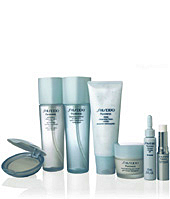 Now your face can look healthier and firmer with the power of Shiseido Men. An ultra-intensive, fully reinvigorating treatment for men's hair. 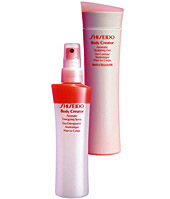 Massage this energizing lotion into the scalp to restore hair's natural vitality, thick look, and healthy sheen. The perfect look begins with a flawless canvas. Reveal a natural, glowing complexion with Refining Makeup Primer SPF21, Pore Smoothing Corrector and Natural Finish Cream Concealers. 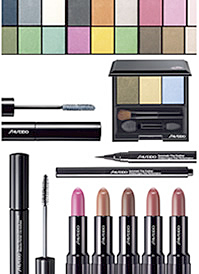 Plus, discover an endless variety of gorgeous eye looks with NEW Luminizing Satin Eye Color Trios, Automatic Fine Eyeliners, Nourishing Mascara Base and Perfect Mascara Defining Volume. Designed to provide the ultimate finish, Shiseido's new makeup tools were created under the supervision of makeup artist Tom Pcheux, whose experience and attention to detail is reflected in the quality of each brush. 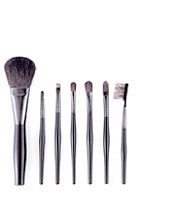 "Brushes play a major role in applying makeup. The shape and texture of the brush as well as the way it fits the hand are all factors that make it easy to create a professional, finished look. If your beauty tools are easy to use, you can create an expert finish and enjoy applying makeup. All of which is reflected in the way you face the world each day."